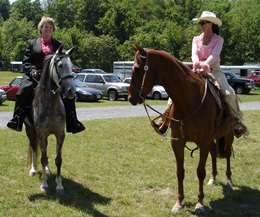 The Green Hill Park Equestrian Center is available for rental for show, clinics, and other equestrian related events. Rental of the facility includes use of the facilities listed below. Returning Shows: If you have rented the facility before, fill out and mail the application WITH payment to the address included on the application. Payment is required in full to reserve the park for your event. Returning Shows: Shows held a given year are given first-refusal on the corresponding date of the following year. This reservation is held through March 1st without payment. After March 1 unpaid reservations are removed from the calendar and the date becomes available to anyone. New Shows: Payment must be included with application. Organizations requesting to rent GHPEC must provide proof of $1M insurance coverage with the Roanoke County Board of Supervisors listed as additionally insured before the combination to gate will be given out. Failure to provide the proof insurance at least 7 days prior to the event will result in the permit being revoked and no refund of fees. It is the responsibility of the event contact person to make sure a Equine Event Report is filed with the Virginia Department of Agriculture and Consumer Services in Wytheville. The state monitors the calendar on this site and there are legal ramifications for not filing a coggins report for any equestrain event. The following guide has been prepared to help those rental the park become familiar with the operation of the facilities. Please read through the entire document carefully. There are expectations and requirements as to what your organization does at the park, and the condition in which the facilities are left after your event. Any failure to follow these requirements will jeopardize future rentals of the facility. In the case that a scheduled show must be canceled, the following policy is in effect. For cancelations made less than 60 days in advance of the show date there is no refund of fees paid. The busy calendar at GHPEC does not allow for the scheduling of rain dates.